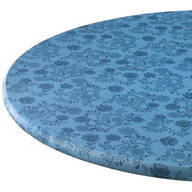 …with this elastic vinyl table cover featuring a stylish faux marble design. 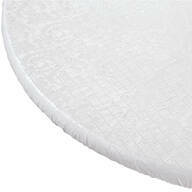 Perfect for indoor use for craft projects thanks to the no-mess, wipe-off design. 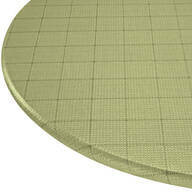 Small round fits table diameters of 40" to 44". 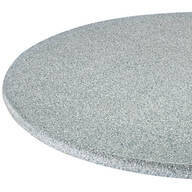 Large round fits table diameters 45" to 56". 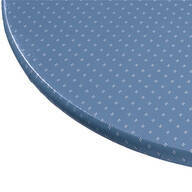 Oval fits tables up to 42" x 68". Imported. 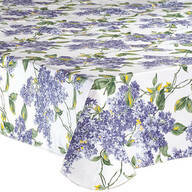 …patio, make Miles Kimball your first choice for budget-friendly, innovative options like the lineup of elasticized table cover solutions available in our kitchen category. 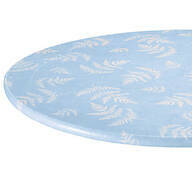 Round fits tables up to 48" in diameter. 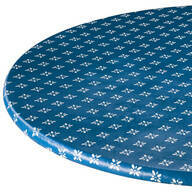 Small oval fits tables up to 48" x 66", and large oval fits tables up to 48" x 86". …backing is a great choice. 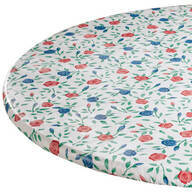 Why not add one to your picnic supplies; it’s also a great idea for covering tables at the park thanks to the easy-on, easy-off design. 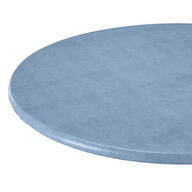 Small round fits table diameters of 40" to 44". 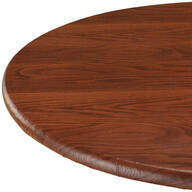 Large round fits table diameters 45" to 56". 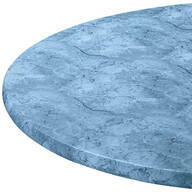 Oval fits tables up to 42"x68". Imported.